Here’s the top of my Observer Magazine story on the sad and destructive prawn and scallop trawling that’s now the west coast’s most valuable fishery. A huge and interesting response – see the comments here – from academics, fishermen and shellfish lovers… Please tell me what you think below. I was diving for scallops off Lochmaddy 3 years ago and an Oban Registered scallop dredger steamed full throttle towards me and my buddy just after we had surfaced – very intimidating stuff – the intention was very clear and hostile, threatening words were shouted at us. The other thing that no-one sees is the damage these dredgers do to the seabed – everything is obliterated, torn from the sand, ripped and destroyed. It takes decades for the seabed to recover. If you’re interested, make sure and watch Hugh’s Fish Fight on Channel 4 tomorrow, 14th Feb. We need a simple, clear public campaign not to ban bottom trawling, but just set a modest limit on the inshore seabed ploughing that’s doing so much damage – 1.5km or 3km has been suggested by the Sustainable Inshore Fisheries Trust. There’s evidence that the Welsh and Scottish governments might be movable. Sunday 13 January 2013 The world is throwing away a shocking amount of food. A report last week claimed that at least a third of the 4 billion tonnes of food the world produces each year never gets as far as our mouths. Between 30% and 50% of food purchased in Europe and the US is thrown away. The research is questioned, not least by the supermarkets, but it does echo the results of an exercise in Britain six years ago, when researchers for the government-funded Waste and Resources Action Programme (Wrap) went through the nation’s rubbish bins. It concluded that we were throwing away 30% of the food we’d bought while it was still edible. Britain – and much of the rich world – has got used to filling the fridge with what looks nice, not what it actually needs. The cost of that indulgence is, says the Institute of Mechanical Engineers, £10bn annually. Globally, the cost, in money, energy and ever-scarcer water, is unquantifiable. Our future food security has been climbing the top 10 of current global worries. 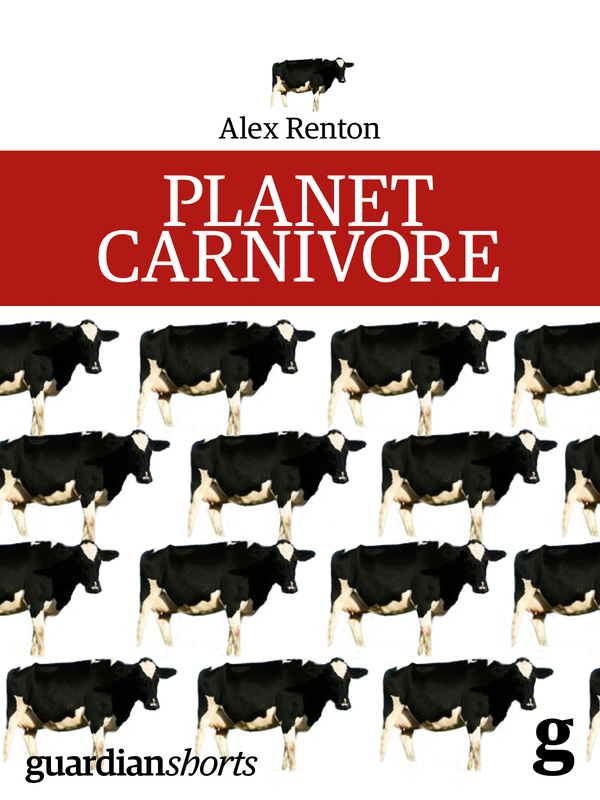 The prospect of feeding a mid-century planet of around 9 billion people looks impossible without major and potentially unattractive changes to farming and our diet. If you accept the United Nations Food and Agricultural Organisation’s call for production to be increased by 70% to feed the population of 2050, most of the work will be achieved just by being a bit more thrifty. All we have to do is to use better what is already there. Corporations can be brought to order: the answer lies in political engagement. It’s still true, as the Nobel-winning economist and philosopher Amartya Sen stated 30 years ago, that there has never been a famine in a democracy. The recipe: get involved in the politics and get involved in your food. Eat better, shout louder, be happier! Eat less meat. Raising meat is depleting food resources and water unsustainably: 20% of greenhouse gas is the result of industrial meat production. Try holding Meatless Mondays. If you love your bacon sandwich, buy half as much bacon, but spend twice as much on it. You’ll get a tastier sandwich, and support a farmer who treats his animals more decently. More on the”flexitarian diet. Supermarkets are part of and a cause of the broken food economy, in UK and abroad. You don’t have to give them up– though it would certainly help. But, once a week, or when you can, get the groceries at an independent shop – especially one that supports local food systems – and give yourself a pat on the back. In the shops. Question what’s going on. Suspend your trust. Tell managers you don’t like excess packaging, or imports that are dubiously sourced. 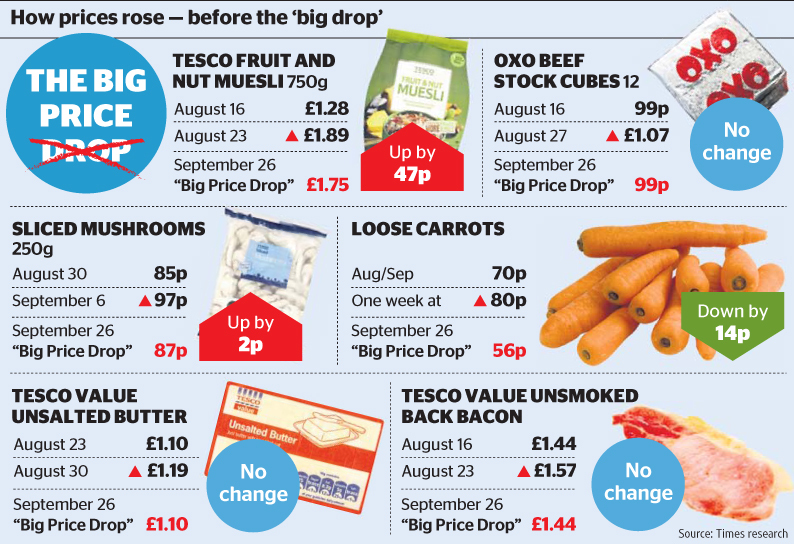 Bargains like BOGOFs are usually paid for by the ever-squeezed producers and farmers, not the shop. Choose food that’s local and in season. Reduce your food waste – in UK we throw away 30% of usable food, and that’s putting up prices across the planet. Tips here at http://www.myzerowaste.com. And support campaigns to keep food waste out of landfill: like the movement to get spare and discarded food from commercial outlets used as pig feed again. Resist hi-tech solutions – they won’t feed the planet, most scientists agree, just corporate profits. We can keep GM out of Europe, if we fight. Get to know the food system. We need to return to an understanding of the land, rebond with the farmers and producers, and see how we can be take part in keeping the world fed. See the Soil Association’s Community Supported Agriculture site for schemes near you that are ready to welcome adults and children. Publicise and donate to Action Against Hunger’s Love Food Give Food appeal on acute child malnutrition: new methods mean children seriously ill from lack of food can be treated in their own homes. Vastly increasing the numbers who can be reached, while lowering the cost. Do share the link. Any more? Leave a message here. The nine ideas: gathered from people at events organised by World Development Movement, Action Against Hunger and the Take One Action film festival in Scotland. Is this the worst dish in food? Khash: the worst dish in the world? 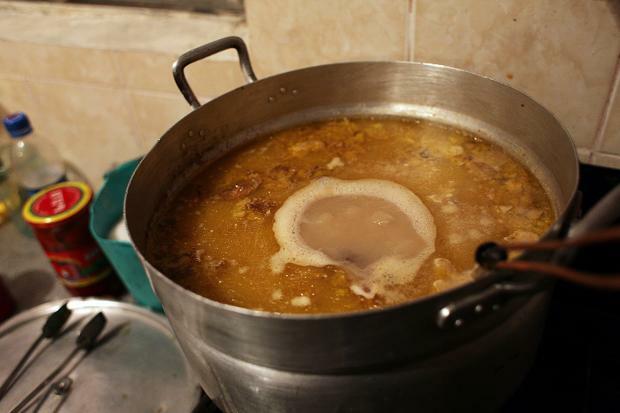 Take 4 cow’s hooves and ankles and 1 brain (optional); boil for 32 hours (without seasoning); remove scum; gnaw bones. Haute cuisine, Armenia-style Khash, “the masterpiece of Armenian cuisine”, is always eaten early in the morning. “It is not wise to eat it late,” says our host, Shirak. “Khash is so rich, you need all day to digest it.” He takes us to visit the kitchen the night before the feast; we inspect the great pot where four cow’s feet and ankles and one bovine brain are bubbling. “It started cooking last night, because khash must be stewed for 32 hours,” says Shirak. We agree to meet when that time is up: at 7am.